Scoliosis is a very complicated and often misunderstood deformity of the spine. It is often painful for the individual, can lead to many life-threatening conditions involving the heart, lungs, etc; and can often be a source of embarrassment due to abnormal head, shoulder, and hip positions. Approximately 2-4% of children develop scoliosis. Childhood: usually known as adolescent idiopathic scoliosis. There are many different theories but no one knows for certain why these occur. Adult: adult onset (de novo) degenerative scoliosis. Can be related to undiscovered childhood scoliosis or may result from other congenital (due to birth) anomalies or acquired spinal problems. For pediatric and adult curves we offer nighttime to full-time bracing. It is common to “wait and see” with smaller curves, however, in addition to understanding the risk factors associated with curve progression, the BEST results are attained when a smaller curve is treated early with the right type of treatment. 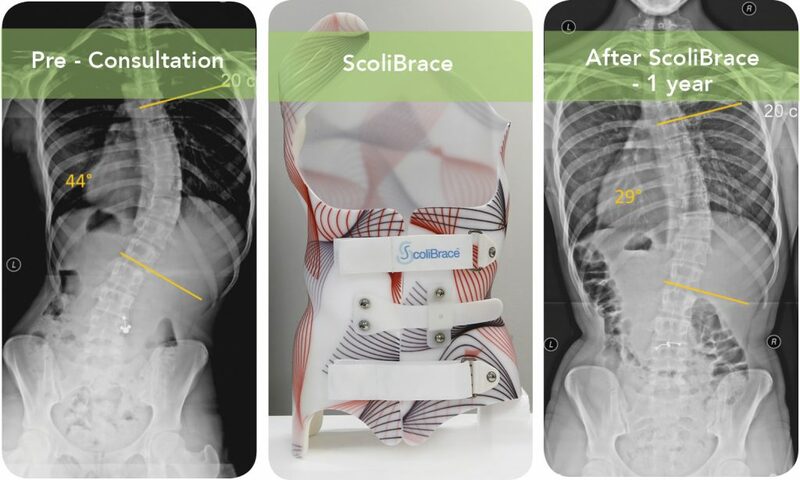 We are pleased to offer the latest and best in scoliosis care for earlier intervention and have proudly partnered with ScoliCare® makers of the ScoliBrace®. 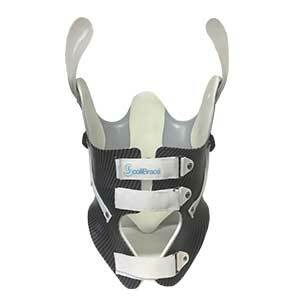 This unique system creates a customized brace for the wearer and is the most advanced and effective brace to date. 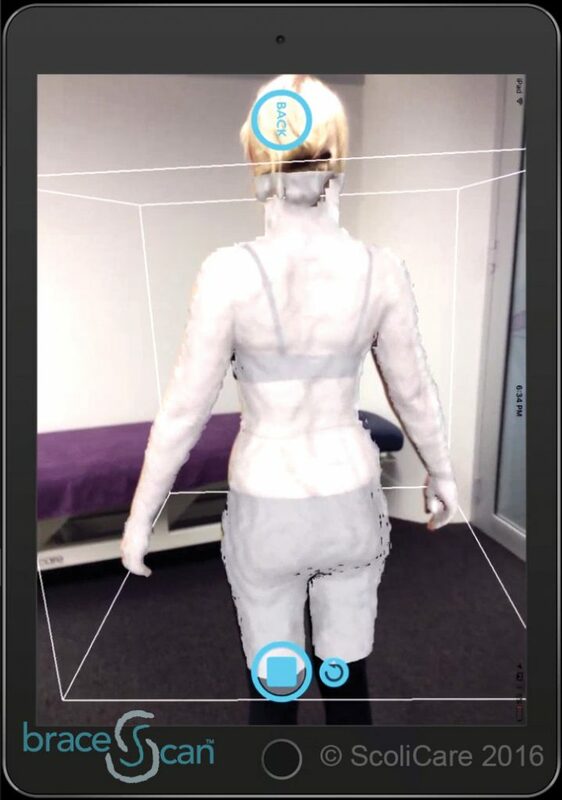 Custom made using a 3-D Scanner: Scoliosis is a 3 Dimensional condition, so effective treatments need to be 3 dimensional too. 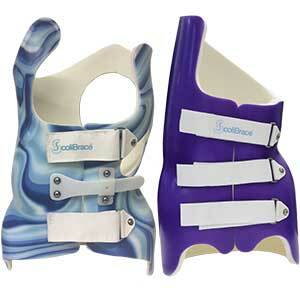 ScoliBrace is a super-corrective brace. It works by guiding the body and spine into a posture that is the opposite of how the scoliosis is shaped. This is different than the traditional Boston Brace which is a “stabilizing” brace. Easy to wear: ScoliBrace opens in the front, is lightweight, and not visible under clothing. One of the most frustrating aspects of scoliosis for parents is that there are many different opinions.